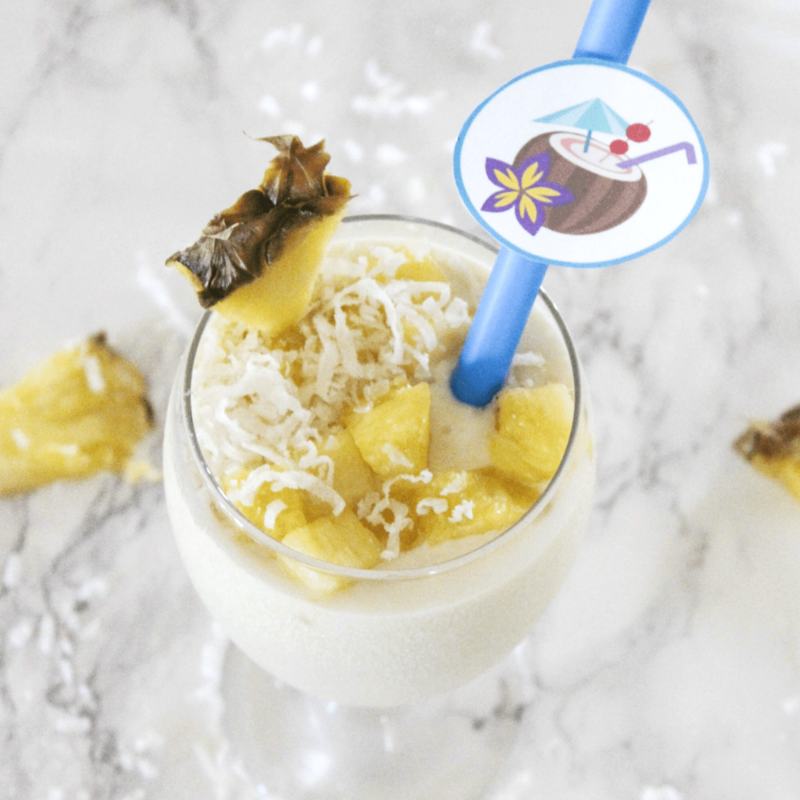 There’s nothing like the taste of pineapple, mango, and coconut blended together in one recipe! 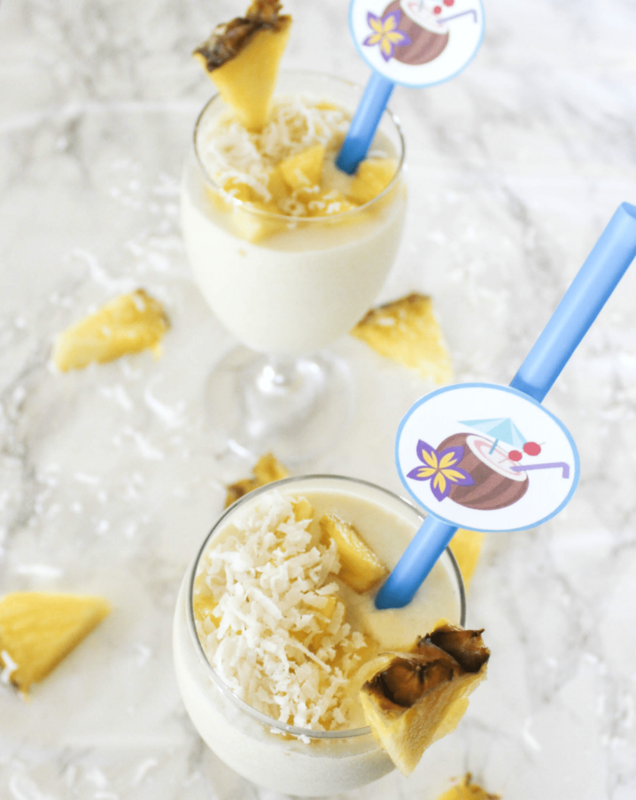 Refresh your taste buds this summer with this delicious tropical drink! Have you ever been to those places that claim to serve something tropical and after you’ve bought it, you realize it’s nothing like you’ve hoped? I have been there. It’s like they threw some chopped pineapple or a bit of seasoning on the item and called it tropical. Here is the one thing I know about tropical foods: If you use real tropical ingredients you’d most likely get the outcome of a tropical taste. So skip the the look-alike and the junk and try this easy 3 ingredient recipe. The 4th one is optional. 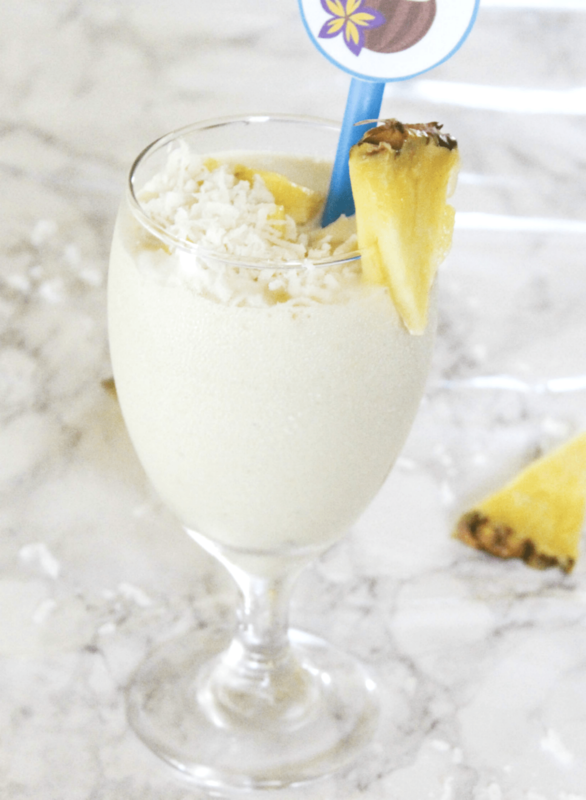 Place the pineapple, mango, and 1-1/2 cups of coconut milk in a blender. Blend until smooth. Add a little more coconut milk or the entire can depending on how thick you or how not so thick you like your smoothie. Add 1 TBSP honey if you want it a tad sweeter and blend for a couple seconds. Pour smoothie into two glasses and don’t serve no boring smoothie. 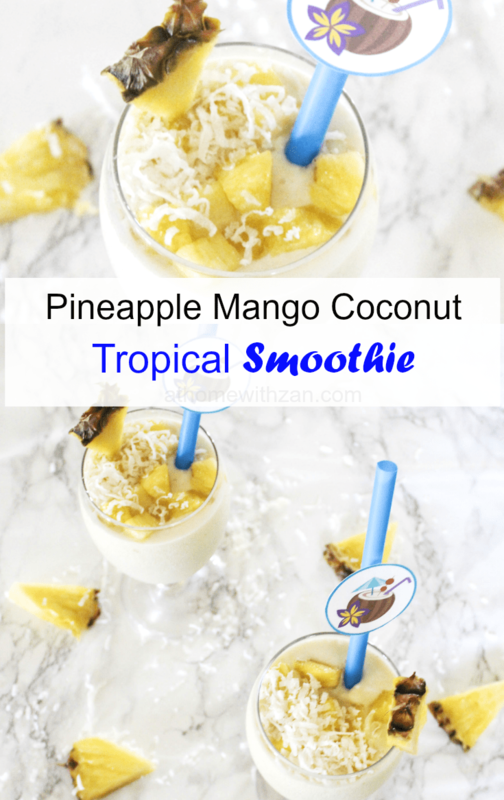 Go the extra mile by topping it off with additional slices of mango, pineapple, and shredded unsweetened coconut. Add a slice thin round slice of mango or pineapple to the rim of the each glass (like I did) and add a straw for good looks. Your tropical smoothie loving family will thank you! But seriously, the smoothie is tasty. Do you enjoy tropical specialties? What is one of your favorite tastes? Let us know in the comments below. Join our mailing list to receive daily posts and updates. Easy Delicious Chicken Skewers – Your Family Will Love! 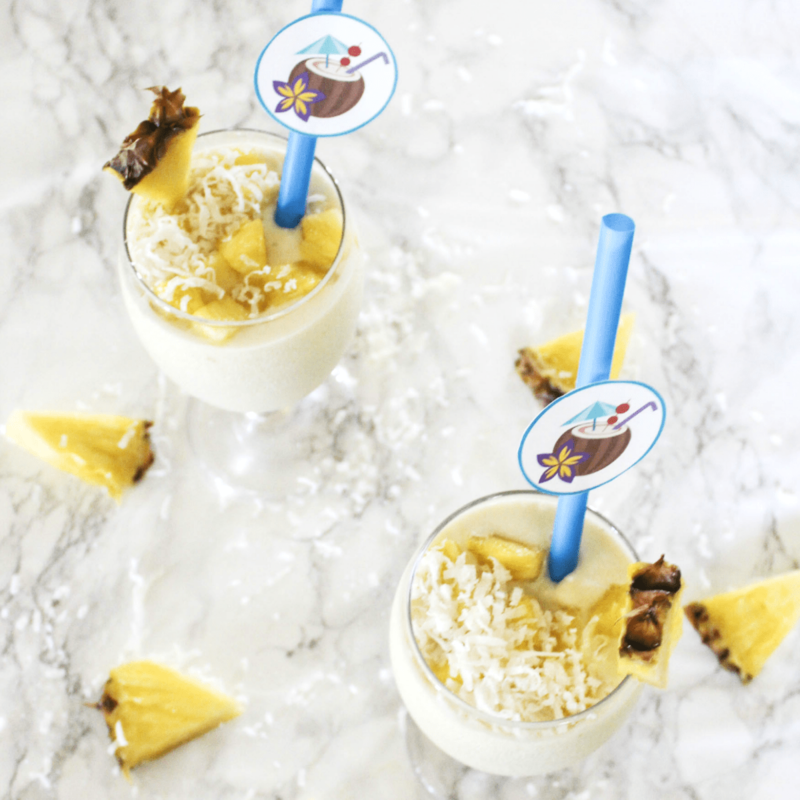 This pineapple mango coconut smoothie recipe is looking healthy and tasty. Thanks a lot for sharing this post. Printable Christmas Pre-School Worksheets for teaching the "Birth of Jesus"
Receive New Posts and Updates! Copyright 2012-2016 by At Home With Zan. No content on this site may be reused without written permission.